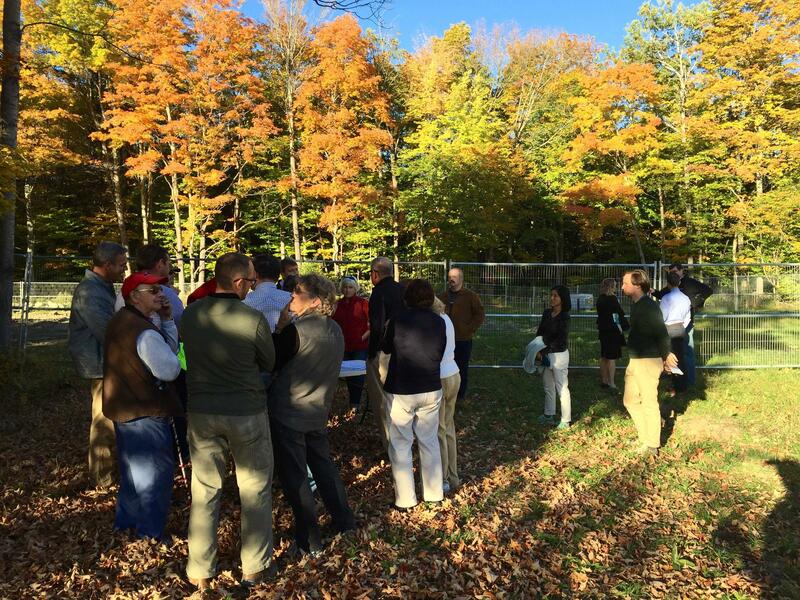 In mid-October, Hanover residents gathered at the Rennie Farm site to learn more about plume of 1,4-dioxane that has contaminated at least two drinking wells. The chemical is one of 10 that the EPA will be researching under new federal legislation. The chemical 1,4-dioxane was released by Dartmouth College's former hazardous waste site, leftover from lab research refuse in the 1960s and '70s. Under the Toxic Substances Control Act signed by President Obama in June, after a three-year risk assessment is completed by the EPA, the agency will have two years to decide what changes need to be made in regulations of the chemical in commercial use. Five years is also the approximate timeline Dartmouth expects for their pump and treat system to remove the 1,4-dioxane source from the Hanover neighborhood’s groundwater – although the college has said the process could be longer. The EPA already sets recommended limits for 1,4-dioxane in drinking water. Those regulations vary by state. In New Hampshire, where the Dartmouth contamination happened, the acceptable limit for the chemical in potable water is 3 parts per billion. 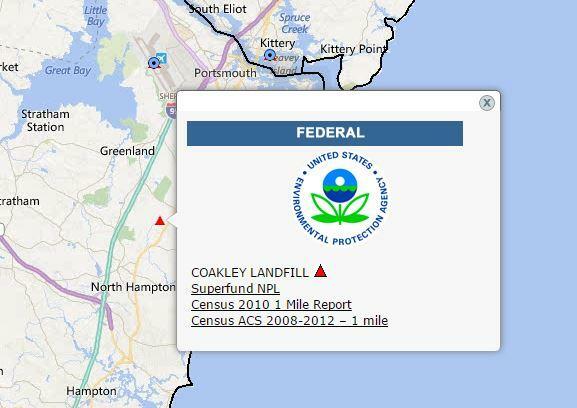 In neighboring Massachusetts, the limit is set significantly lower, at 0.3 parts per billion. Jim Jones is the assistant administrator for the Office of Chemical Safety and Pollution Prevention at the EPA. 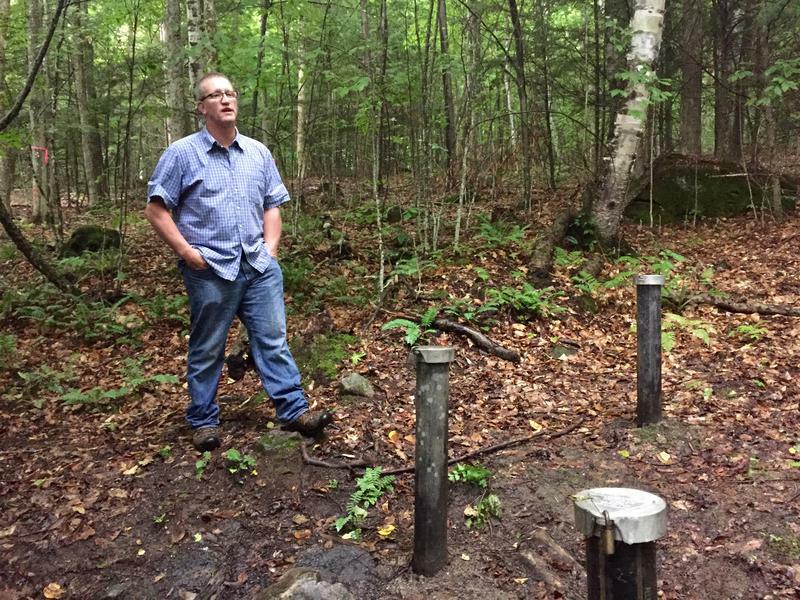 He says while 1,4-dioxane has been – and continues to be – assessed in the drinking water program, this is the first time the federal government is looking at the chemical itself. “In the drinking water program, it doesn’t really matter how it gets to water, the limit is established in water. This will be the first time the federal government has ever evaluated the commercial uses of 1,4-dioxane,” he told VPR. Meanwhile, residents of the Hanover neighborhood are trying to understand the potential health risks of exposure to the chemical in groundwater. Dr. Robert McLellan, a Dartmouth-Hitchcock doctor and professor at Geisel Medical School, has been advising residents in the neighborhood on the possible health effects of 1,4-dioxane. Earlier this month, at a public forum on the Dartmouth campus, he told a concerned crowd of residents that 1,4-dioxane can be found in household products. In response to news that the EPA will be reviewing the potential harm the chemical may have on human health, McLellan says his fundamental message remains. “The key message is that – not just 1,4-dioxane, but any chemical – you’re only going to be harmed if you’re exposed, and depending upon how toxic an agent is, a given dose is going to have more or less harm,” he told VPR Wednesday. More than 100 wells in the neighborhood have tested negatively for the chemical. But at least two drinking wells, several local streams and one other private property have been found to have 1,4-dioxane present. Last month, Debbie and Richard Higgins threatened to sue Dartmouth College for releasing the chemical into their drinking water in 2015. They claim that they experienced short-term health effects such as a skin lesions and mouth sores. Dartmouth will be putting in place a pump and treat system at the Rennie Farm site before the start of 2017. That system is designed to clean the source of the 1,4-dioxane, with the hopes of mitigating the plume moving through the bedrock of the Hanover neighborhood. Update 9:26 a.m. Thursday, December 1, 2016: This article was updated to reflect that over 100 wells have tested negatively for the chemical 1,4-dioxane in the neighborhood surrounding Rennie Farm in Hanover. 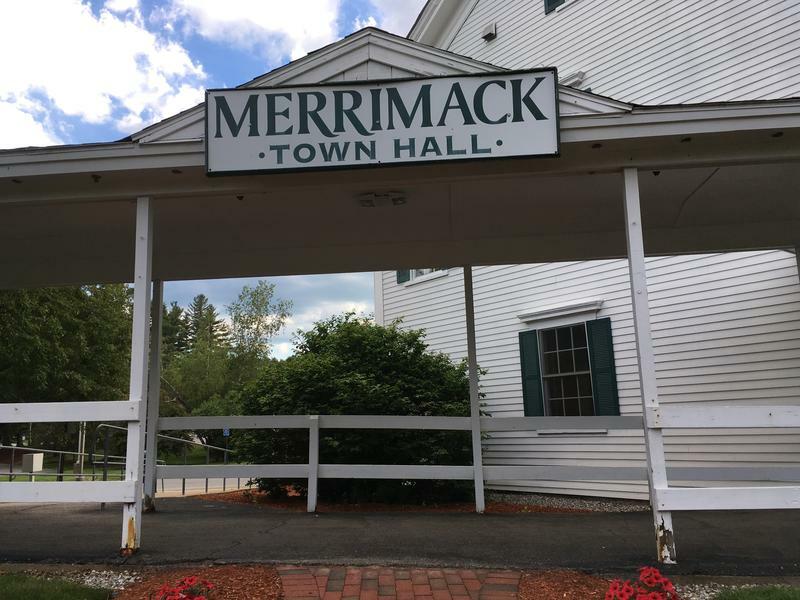 Merrimack Town Councilor Calls Water District's Communication "Inept"
Unlike other towns in New Hampshire, in Merrimack, the public water system (Merrimack Village District, or MVD) is independent from town governance, overseen by its own elected board of commissioners.